The winners of first Mary Mulvihill Memorial Awards were announced on the 18th May in an award ceremony held in the National Library in Dublin. 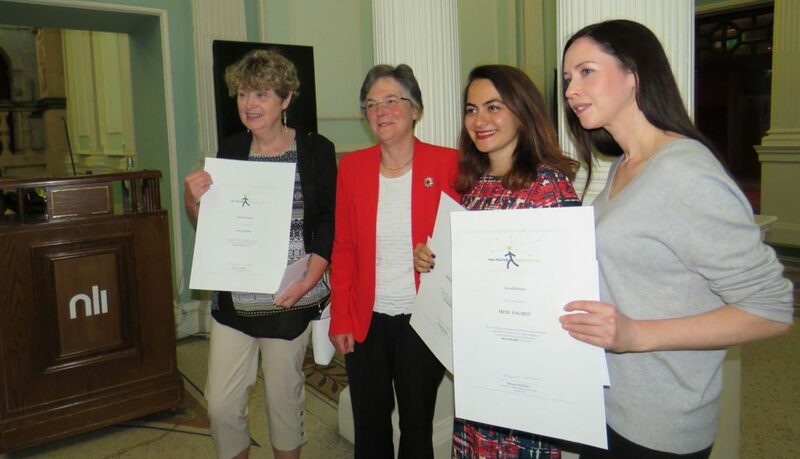 The award worth €2000 was won by an MSc student in world heritage conservation at University College Dublin, Irene Fogarty – who also works as an audience researcher with The Irish Times – for her essay Indigenous Women and Science Knowledge. Irene has very generously offered to donate half of her prize to UN Fund for Gender Equality, in Mary’s memory.